This new MICROFLOW TEST design is the result of decades of fuel system processing experience on large scale automated systems. 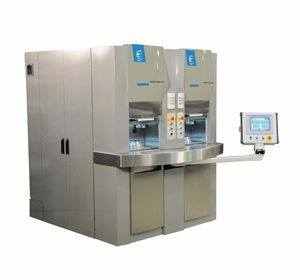 The new MICROFLOW TEST brings the same precision processing of a fully automated measure system, now packed into a smaller package as a stand alone machine. The small scale robust design is scalable to your production requirements and delivers a combination of high precision, reliability, accuracy, and ease of use. Remote service tracking and standardized components brings production stability. Modular design enables scalable production to meet varying production needs. Easily integrate into part handling and robotic cells.